This one we love – the coolest storage idea ever to hit the shelves! 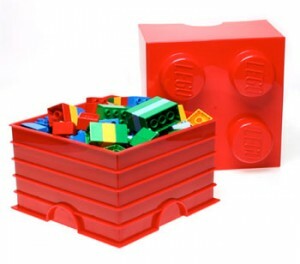 All Up And On, purveyors of all kinds of groovy homeware, now have Lego storage solutions in stock. "Did you tidy your room?" 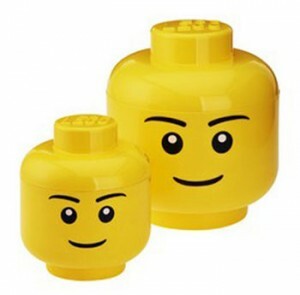 The boxes come in one, two, four and eight-brick configurations and also in the style of Lego figures’ heads. You can use them to store toys, Lego itself (at which point things start to become seriously meta) or anything else that takes your fancy. Personally, we think they are ideal for storing hobby supplies. And, of course, they are modular, so you could presumably stack them and build things from them. Is your head hurting yet? Colours available include black, red, blue, yellow and the more elusive green, so they should fit in with a wide range of decorating schemes. Admit it, what’s not to love about these? Categorised under Latest offers, Our partners, tagged under All Up And On, Lego, storage.